BlackBerry is committing to its long term to the Android platform with two new devices probably mid-range devices coming at some point this year. 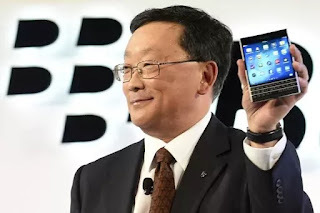 John Chen the CEO of the beleaguered Canadian company confirmed this while speaking to The National in the UAE where he attributed the flagging sales of the BlackBerry Priv to its high price of $700 which made even their staple enterprise buyers shun the device. So if you're a fan of BlackBerry devices, you prolly would want to keep an eye and ear out as there would be two new BlackBerry Android devices priced at a more budget friendly price between $300-$400 later this year.